Did you know that donating one unit of blood can save up to seven lives? 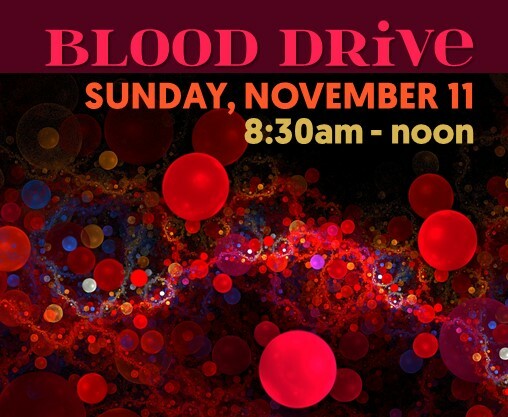 Our final blood drive of 2018 will be held on Sunday, November 11 from 8:30am – noon in Room 101 of the Adult Building. We need your help to reach our goal of 200 blood units for the year, so if you are medically able, please take a few moments to give the Gift of Life by donating blood. Thank you for your generosity. WELCOME TO YOUR CHURCH FAMILY! © 2018 Broadmoor United Methodist Church.